It can be so simple. In today's complex world we can still make things easy to understand, if we want to. Clearly, at the Winter Olympics just ending in Turin this weekend the concept of simple was ignored. 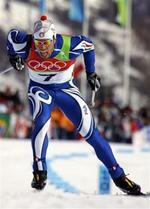 Many of the Olympic federations chose to follow the hot trend of mixing things up and boy did they mix me up! 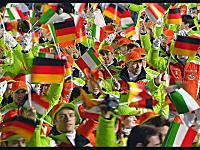 I knew it was not going to be pretty from the Opening Ceremonies when the German federation arrived in white and lime green. Thankfully waving flags to remind me what country they represented. 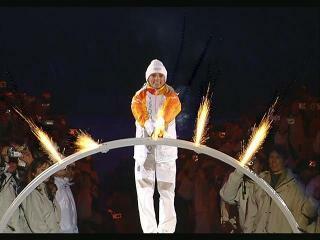 The flame was lit by Italy's Stefania Belmondo wearing white and yellow. Again thankfully I remembered that the event was being held in Italy, so the person lighting the flame must be from Italy. OK, they weren't making it easy but I was hanging in there. So as they say, "let the games begin!" As I began to watch some of the races I noticed some skaters in a absolutely beautiful shade of blue with black suit. What country are they representing? As I searched my memory for the countries with this shade of blue in their flags, I reminded myself that these were not the simple games of the past, where members of a country's team wore versions of their country colors. The speedskaters did not disappoint. As they made their way around the track at break neck speed it was none other than Germany! For those of us who still needed some help, the designer included a hint of the country flag. In the slow motion replay I saw it at her wrist! See it, it's right there, she's from Germany! Thank you. Actually had to double check to make sure this person in black and white with red and yellow stripes was from Germany... I didn't want to be fooled again. 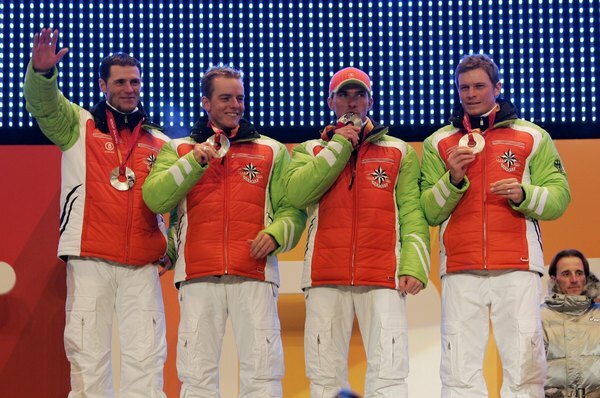 Just when I thought it was getting easier, the German nordic team appears on the medal stand with white and lime (I'm good so far) and hot red! It's not fun or funny anymore. This country known for it's great design from automobiles (Porsche, Audi, BMW), to consumer electronics (Braun, Miele) to fashion (Hugo Boss, Jil Sander) is losing one of it's biggest design fans - and just over it's refusal to bring some sense of color continuity to their 2006 Olympic team. Another design powerhouse of a country, Italy. I know that blue is the favorite color of over 75% of the population worldwide, but at the Olympics, leave the blue and white to Finland or Greece. You didn't see a BLUE Ferrari making it's way around the ice in the opening ceremonies! 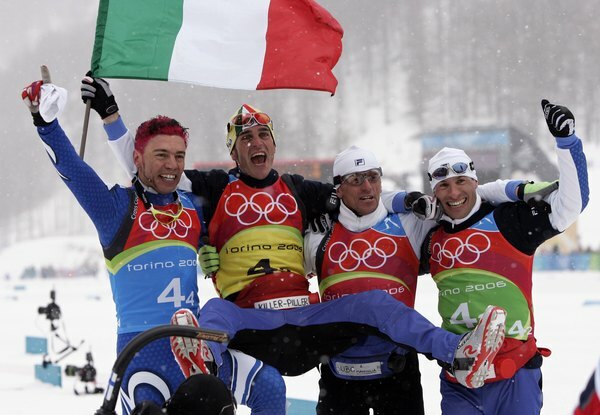 The crosscountry Italian team shows just how mixed up their country identity is getting when the Italian flag is held at the end of the race. Let's be honest here, blue, white, green and red does not an identity make. Visual ouch. Wear blue on your own time. No doubt it will look fabulous. When you're in the Olympics representing Italy, c'mon... wear red and green and white. Mapleleaf on the hat, check. Canada spelled out across the parka, BIG check. I was in New York City last weekend when the city received record snowfall, overnight Saturday to Sunday. It was beautiful. Waking to this, after falling asleep with light snow flurries starting to fall. Made it to MoMA for the opening of a great exhibition New Architecture in Spain, here's a couple of views looking out onto W 54th street. Who can say they don't love snow? We had been living the American dream for sometime. Nice house, big garden, privacy, great neighborhood, quiet and lots of space. A wonderful view. Maybe it was too big, too private, too quiet, too much space. Kind of lonely. We decided it was time for a change. Currently we are living in a one bedroom loft in the city, as we wait for our new townhome to be finished. Life is good here, easy, not complicated. I know where everything is, and there is freedom in the simplicity of this. We only have about one-third of our belongings, but somehow we're not missing too much. People are nice and caring, greeting each other at the door of the building or in the elevator. Introducing themselves and reaching out. The doorman knows the children by name, and greets them personally when they get pushed out in their strollers. A wonderful view. As we start to think about moving into bigger quarters again, I get concerned about all that stuff. The other two-thirds that are in storage. My goal is to keep it as simple as possible. What I've learned is that all I need can be easily kept within a small physical space, opening up psychological space has been the greatest gift of this latest change. Simplifying one to make the other richer. A wonderful view. After many, many years of being addicted to expensive health and beauty products, I am on the search for reasonably priced products that I can get just about anywhere. Throughout my search I will post what I find in the hopes that people will offer me tips where I can start saving a little money towards my retirement. I'm not saying that I want to start using lemon Joy dishwashing soap for my bubble baths like my mom and my aunt. Although who knows! 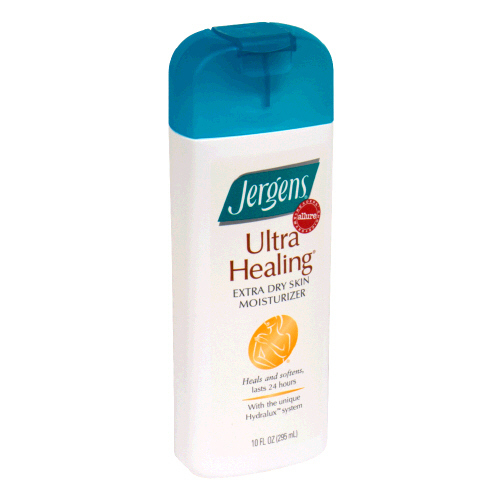 My first recommendation is Ultra Healing Extra Dry Skin Moisturizer by Jergens, 10 oz. for $3.49 at Walgreens! This stuff is great and works as good if not better than some moisturizers priced 10 times as much. 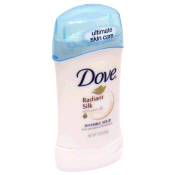 Another great product I've found is Dove Radiant Silk anti-perspirant deodorant, only $2.29. Currently out of stock at walgreens.com, I must not be the only one who has discovered this one. My next search is for a great mascara for very sensitive eyes and a great eyemakeup remover. I've tried a few but none have worked. Alas, my retirement is still a bit further off until I find something that works.